A Chicago-based environmental group has received a $1 million grant to address climate change by planting new trees and recruiting residents to help protect them. The nonprofit Openlands announced Tuesday that it was the recipient of a two-year MacArthur Foundation grant that is intended to mitigate threats to the area’s “urban forests,” which face risks related to invasive species and climate change. According to Openlands, which advocates for natural and open spaces in northeastern Illinois, the Chicago region is in the process of losing 13 million trees to the invasive emerald ash borer. As those trees die, the costs to remove them take up large portions of municipal budgets, and there is no strategy or funding to replant many of the trees, the group says. A 2017 federal study also found that 15 percent of tree species in the region have either moderately high or high vulnerability to climate change. With funding from the grant, Openlands will plant trees throughout the Chicago area and will also expand outreach efforts in 10 communities, including training residents in tree care through the organization’s TreeKeepers program. 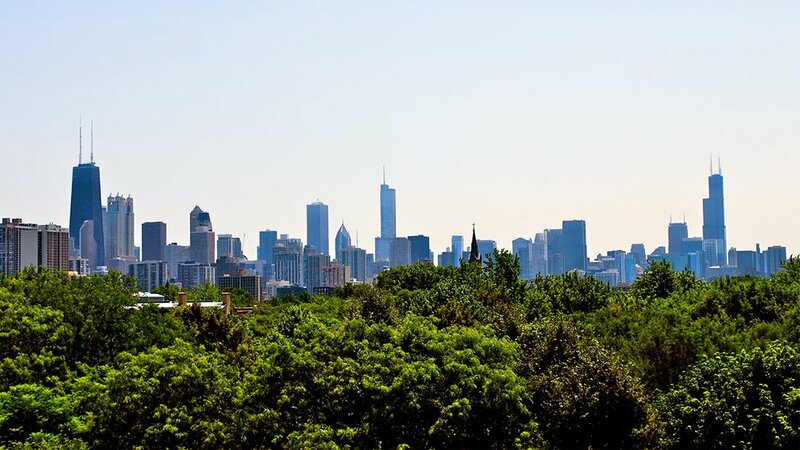 Last year, a study led by the U.S. Department of Agriculture’s Forest Service found that the Chicago area’s urban forests provide more than $50 billion in compensatory services to residents, including taking pollutants out of the air and absorbing stormwater. But researchers noted that the ability of urban forests to provide those services is in jeopardy because of ongoing and projected changes to the climate.